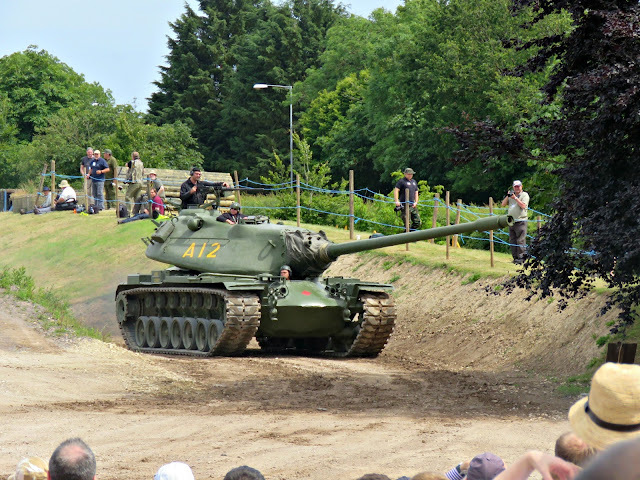 Last weekend we were in Dorset for Tankfest 2015 ... and, whilst I really wasn't expecting to feel this way, I have to say that it was pretty amazing. 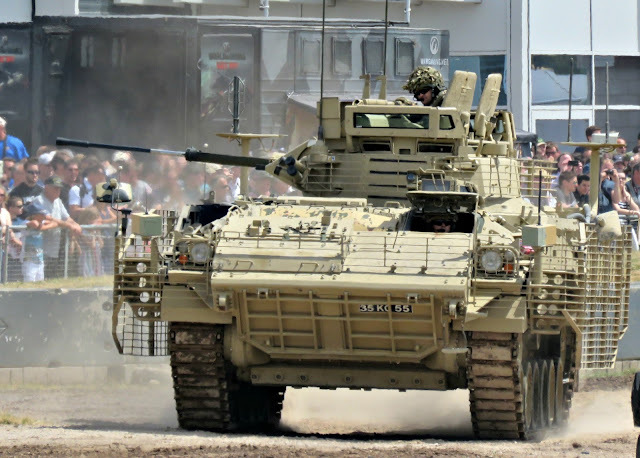 I was dragged along because the child had got lost last year, resulting in the whole festival being locked down for 20 minutes on a code red, as Mr B and several members the British Army ran around frantically trying to find him. The whole thing was so traumatic (for Mr. B) that they insisted I come along this year to sit on a picnic rug and give them a rendezvous point to come back to if they got separated. I agreed, knowing how much they had both enjoyed the festival last year, but expecting that it would be a day to be endured rather than enjoyed (I didn't set out on Saturday morning with any great love for, or interest in, tanks!). But I spent a very pleasant day, doing my knitting on a grassy bank with thousands of tank enthusiasts, a hot sun overhead and the most amazing armoured vehicles going through their paces in the arena in front of us. 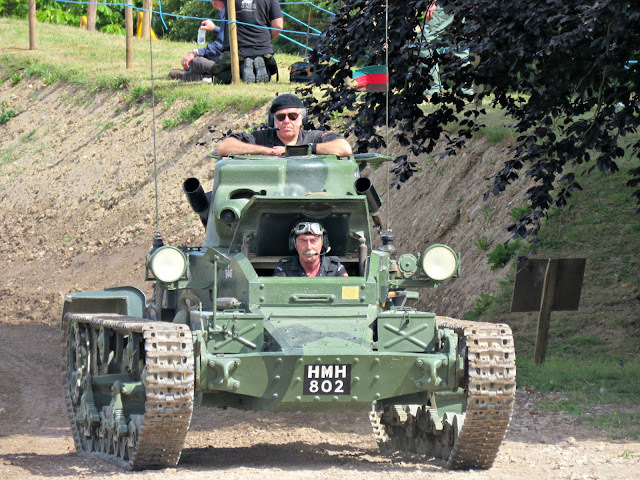 It was a fabulous spectacle: dramatic with a hell-raising capital D and a great big mechanised roar ... . 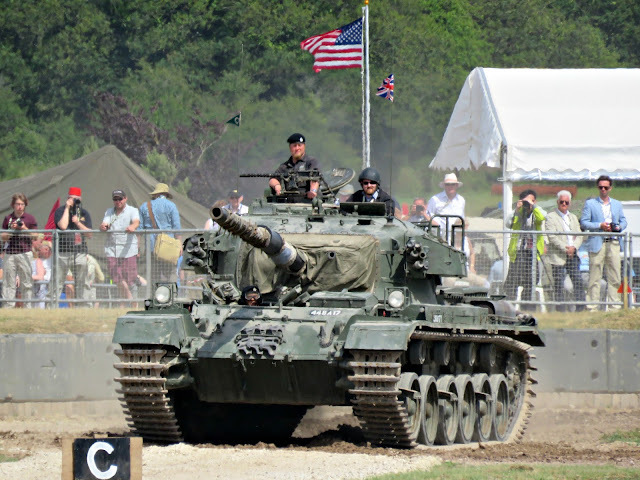 I was really impressed by the commentators who knew more about tanks than would fill an encyclopedia, and who managed to make it all interesting and accessible for folk like me who hadn't come along with a whole pile of knowledge. 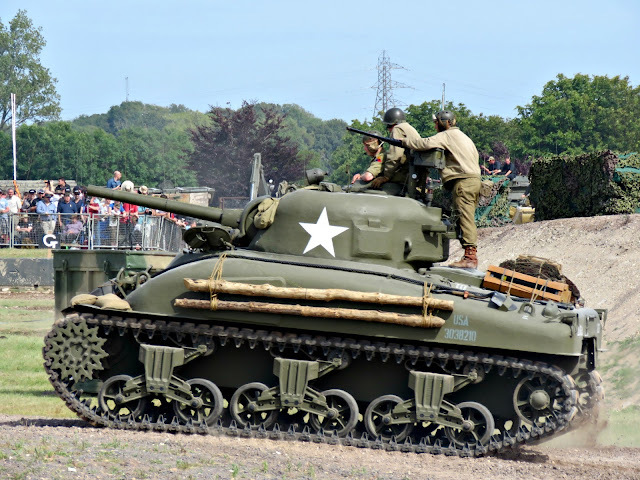 They talked us through the history of modern tank warfare, which was pretty compelling given how we had the objects under discussion cruising around the arena as they told us all all about them. 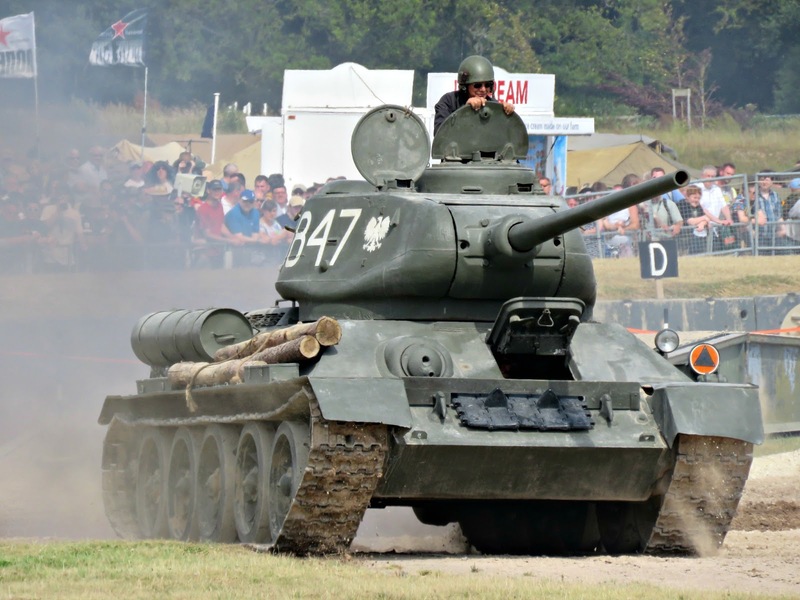 These tanks were, for the most part, battlefield veterans. Many of them sported shrapnel damage and bullet holes. They'd been there in the thick of some of the most ferocious battles of modern times, and last weekend, after months of sitting quietly in the museum, they got their engines revved up, their tracks turning and their gun turrets cleaned out to fire blanks. 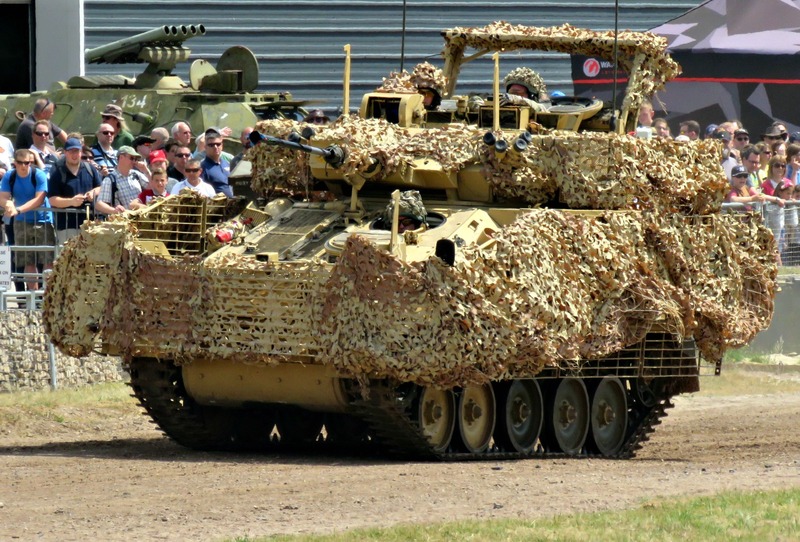 Have you ever seen a tank move? It's an awesome beast, what with the roar of its engine and the way the very ground under your feet vibrates as it trundles towards you. 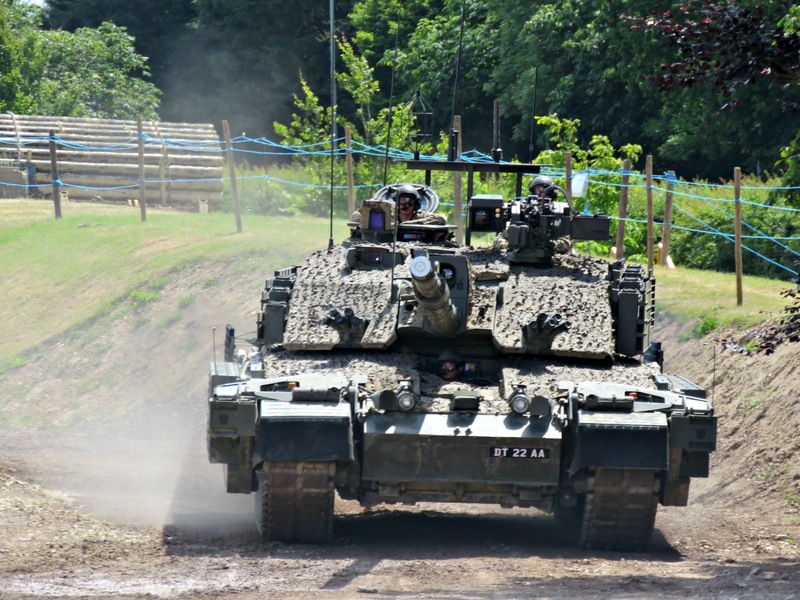 The first vehicles to come out were a feisty group of Leopards. The compère explained what we were about to see as they bellowed into life down in the pits, belching out great plumes of smoke, which preceded them into the arena. When they finally appeared they rallied around like oversized racing cars. 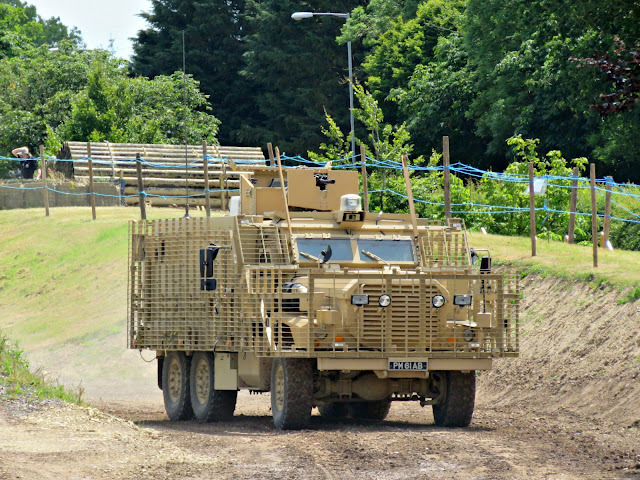 I was blown away by how fast and manoeuvrable they were. 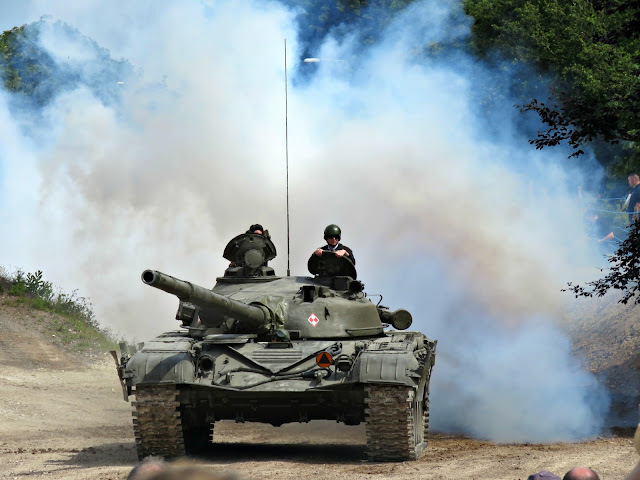 Made in Germany after the Second World War these tanks were used by the Danish and Canadians on peacekeeping operations in the Balkans, and by the Canadians in Afghanistan. Then we saw some very modern tanks that had recently seen service in Afghanistan. Then there was a special section for armoured vehicles with wheels instead of tracks. The strange looking get-about below is a Buffel (or buffalo in Africaans). In production from 1978 it was used by the South African army as a mine-protected infantry vehicle. Land mine protection was afforded by the V-shaped hull, which deflected the force of the explosion. 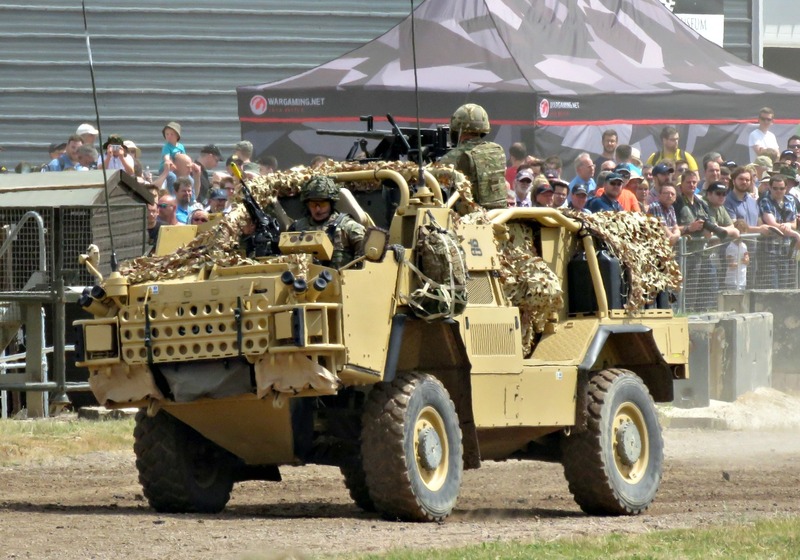 The large tyres were also filled with water in order to dissipate the energy of an exploding land mine, although this added about 500kg per wheel to the weight of the vehicle. 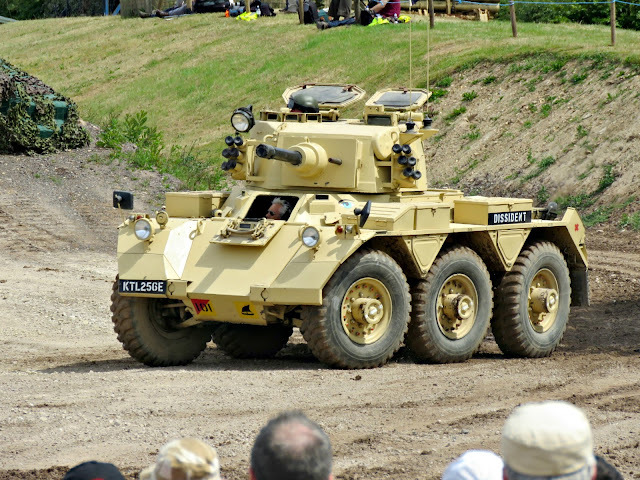 The Saladin below is one of three Saladin armoured cars that they have in the Tank Museum. 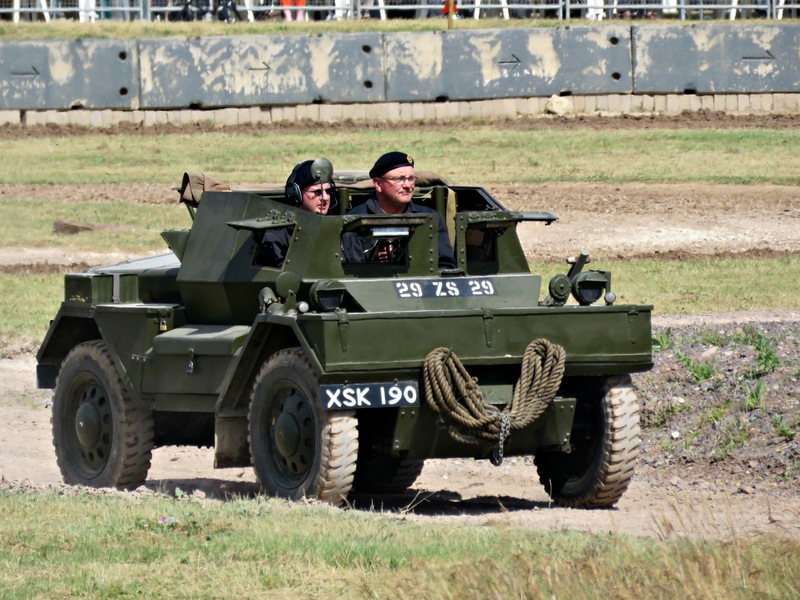 They were widely used by the British army from the 1970s, and were affectionately known as Sally Cars. Then they had a Born in the USA section. 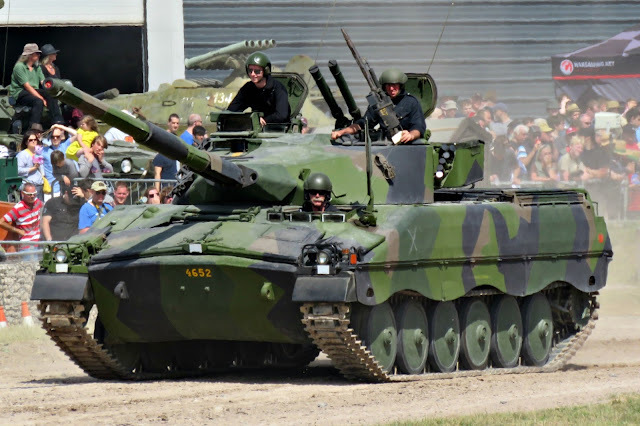 The lethal looking vehicle below is an American M110 self-propelled Howitzer. 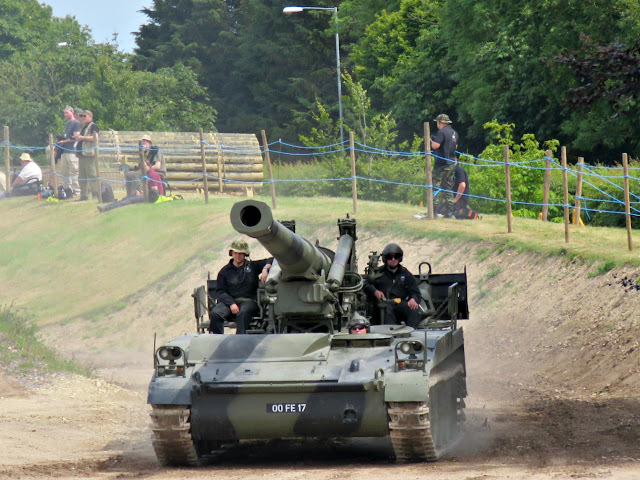 That huge gun could fire standard issue munitions between 16.8 and 25 kilometres, and rocket-assisted munitions a staggering 30 km. The tank below, the M60, was developed in 1957 during the Cold War in response to a concern that the Soviets were in the process of building a new main battle tank with a huge gun that would have out-shoot the older M48s. 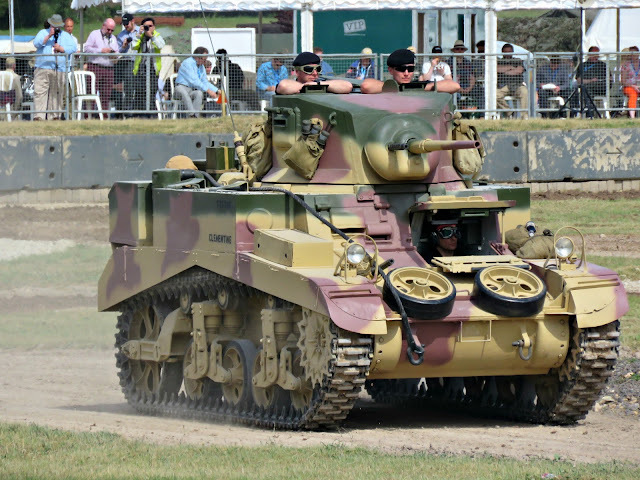 The section that I found most interesting was the historical armour category, most of which dated from the Second World War. 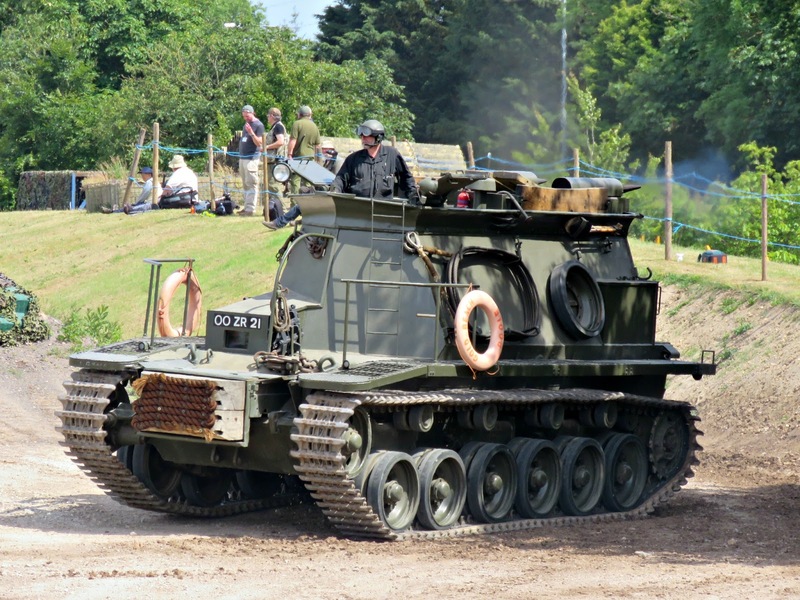 Below is a Centurion Beach Armoured Recovery Vehicle, which was used on campaigns such as the D-Day Landings to rescue tanks and armoured cars that hadn't quite make it off their delivery vessels. This vehicle could drive through 9 feet of water. The driver would be totally submerged and unable to see what was ahead, so he'd rely on the look-out guy up top to tell him where to go. The vehicle came with a diver as part of its 4-man team. His job was to attach the towing chains to the vehicles that had broken down in the surf so that they could be hauled to dry land. This Panzer III (below) saw service in the Second World War. 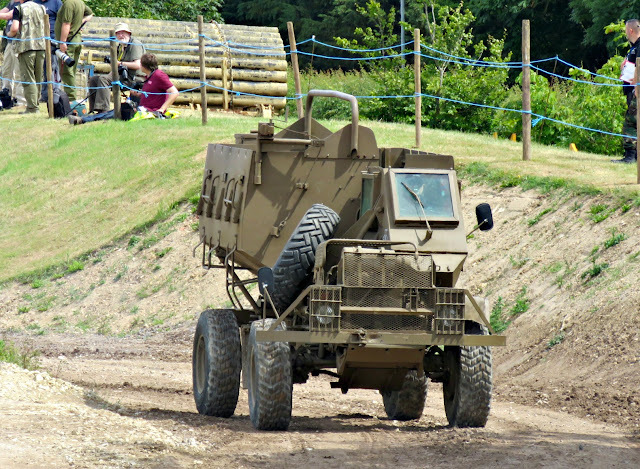 It was powered by a petrol engine. 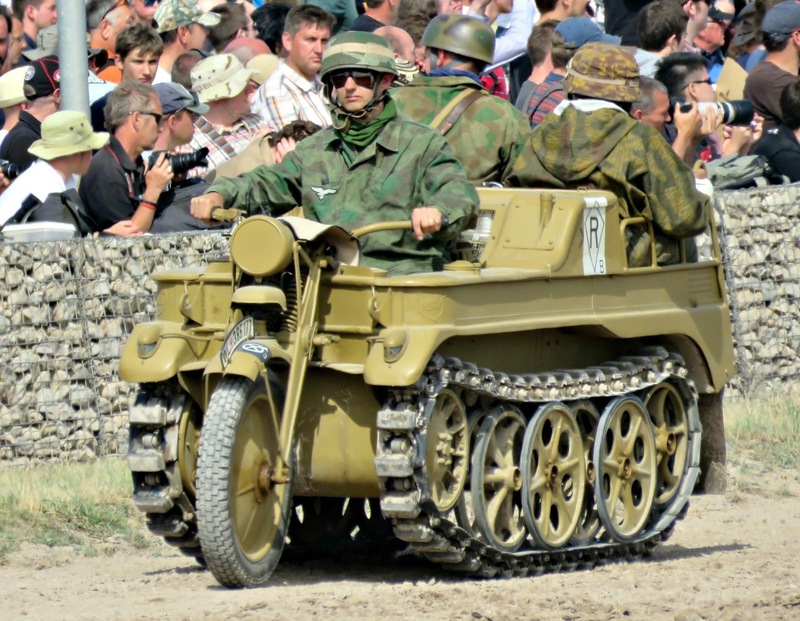 Apparently Hitler had wanted all his tanks to operate on diesel, but his Generals had ignored him and stuck with petrol. 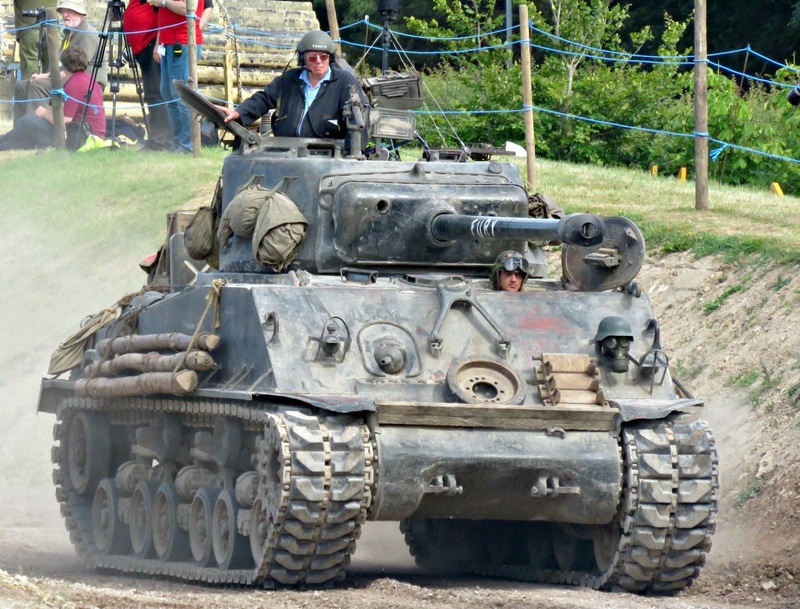 And then we got to meet the (mechanical, sigh) cast of the Brad Pitt movie Fury. 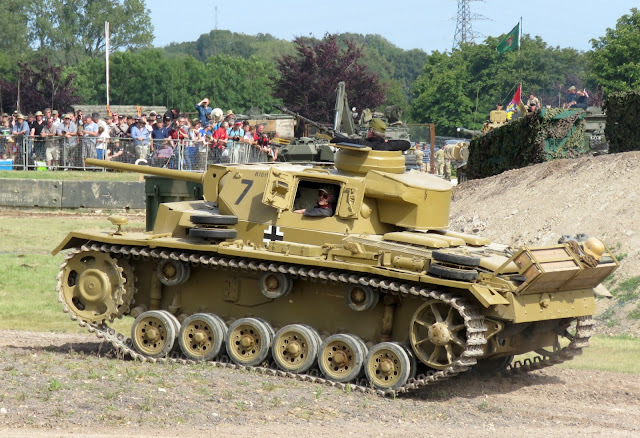 The Tiger (below) saw service with the German army in North Africa, and was used in the movie. The Tank Museum staff and trustees thought long and hard about allowing it to go off to be filmed. 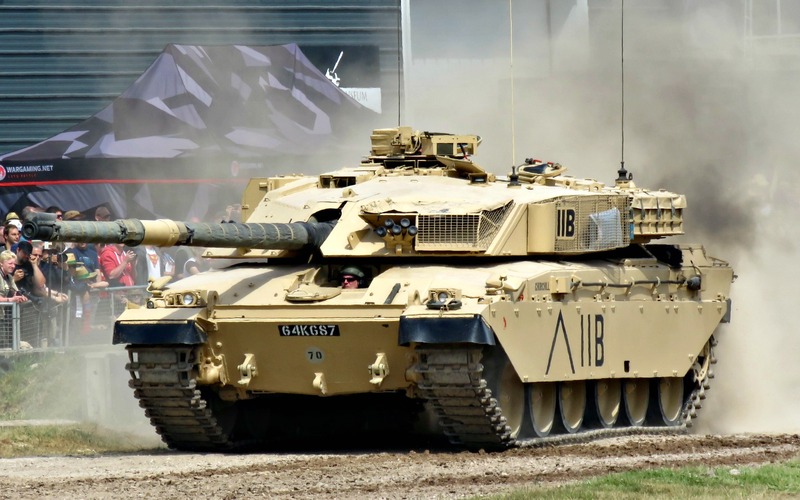 There were concerns about whether the tank would be properly taken care of, and there was also the sticky issue of it's almost certainly having been responsible for the deaths of British soldiers during the battle in Tunisia in which it was captured in April 1943. 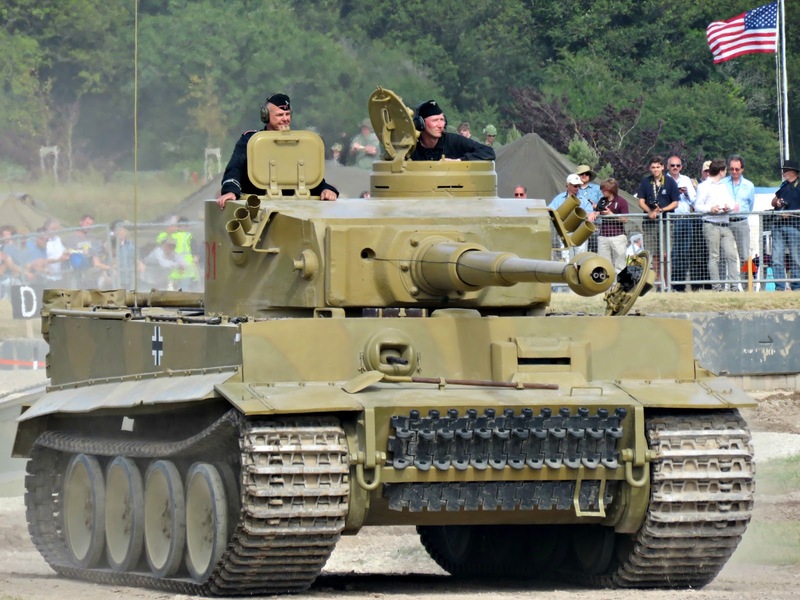 After a series of delicate negotiations a scheme was drawn up whereby the Tiger was allowed to leave the Museum for two weeks in November 2013 to star in the movie. It was so well taken care of that they think it's in better running order now than when it left. 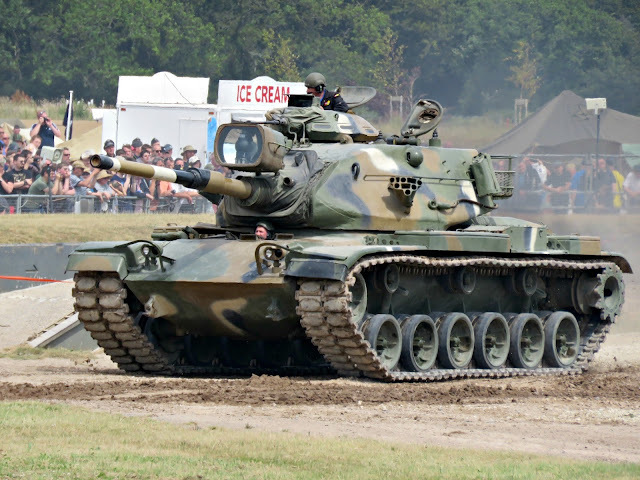 And this is the Fury, Brad Pitt's tank from the movie. 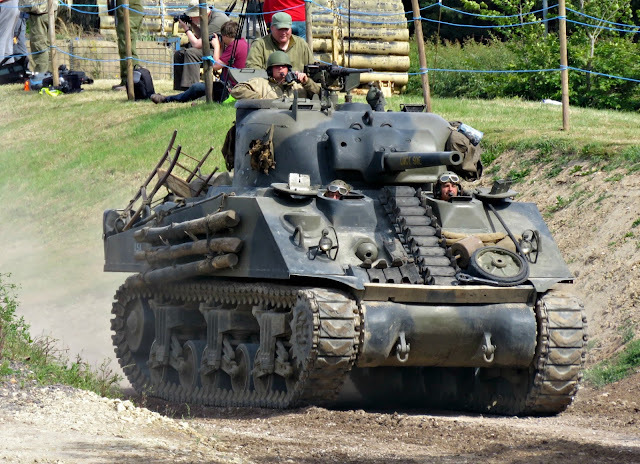 It is a Sherman M4A2, which the Tank Museum provided for a total of six months, along with a recovery tank, a Chieftain ARRV, as a back-up in case anything went wrong with the M4A2. 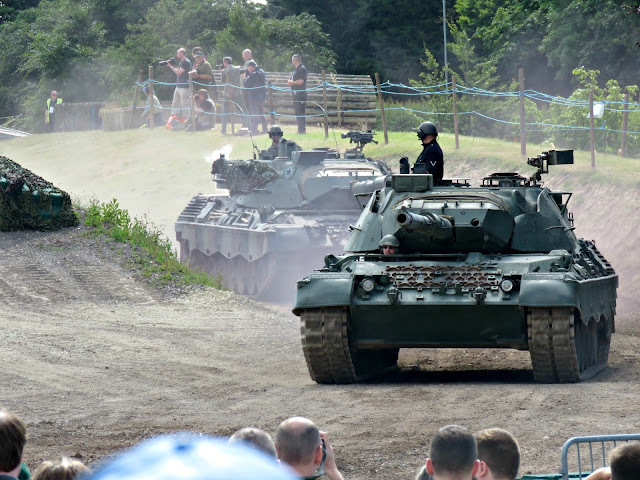 As the grand finale, the Tankfest team staged a recreation of the duelling scene from the movie featuring the Fury (the M4A2 above) taking on the Tiger aided by two other privately-owned Sherman Tank cast members, the Lucy Sue (below) and Old Phyllis (following photo). And we also had two fly-pasts. 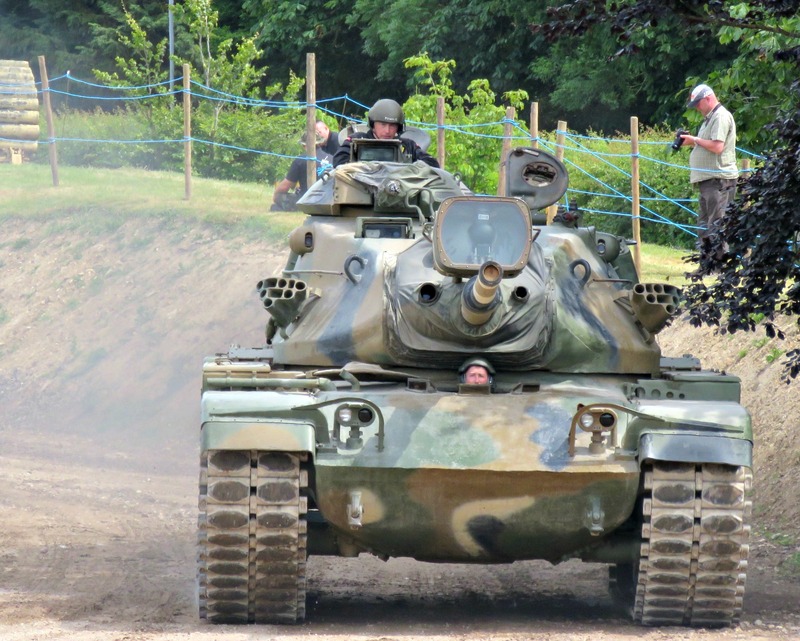 The first by a Spitfire, but my boys had gone walkabout with my camera so I didn't get any photos. And the second by a Hurricane. 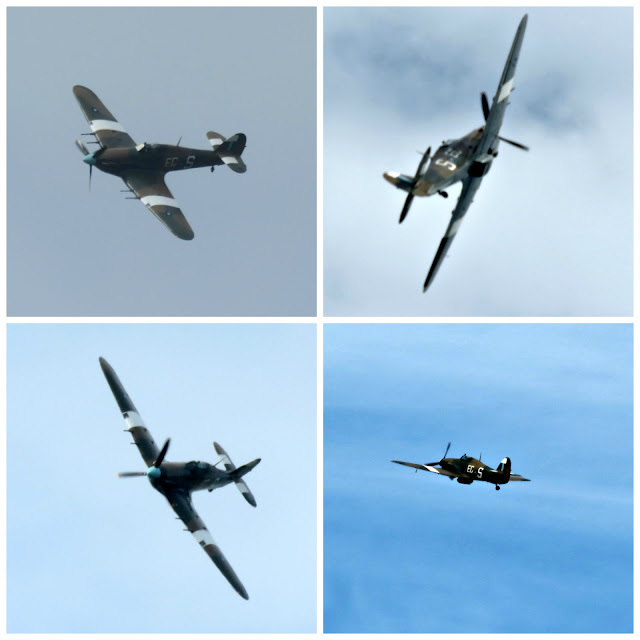 It was amazing to see the old girls up in the sky, although I did have a few moments of unease as I worried about mechanical failure just as they were directly overhead. Given their age it's an incredible thing that they can still make it out for a spin. And fittingly the day ended with lap of honour for the Armed Services and a minute's silence for the fallen. Wow that is something you don't see every day. I would have enjoyed this. I'm glad you went along and took these awesome pictures to share.